It’s August and that means it’s car auction time. Much of the car-collecting world will be out in California this weekend either at Monterey or Pebble Beach – maybe even Carmel. A lot of cars will change hands and some of those will help set the market over the next six months. I always like to highlight a few that seem particularly fun. As usual, there are a lot of Porsches on auction, though truthfully there is less this year that really grabbed my attention than in years past. But there is always good stuff even if there are fewer of them. For instance, if you’re a very esoteric Porsche fan, Gooding & Company will be auctioning this 1 of 1 1966 Porsche 911 Spyder. This post will not be about that car, in part because I don’t even know where to begin with that car, and, in fact, this post will be slightly tangential to Porsche. 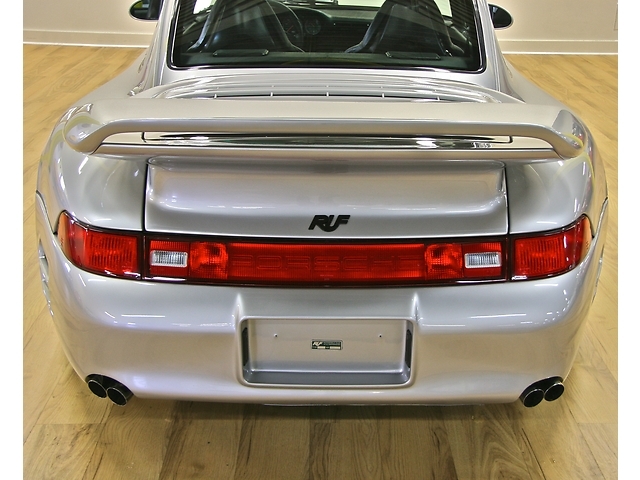 We’re going to look at RUF because there are a few very cool RUFs being auctioned. These are the real deal; these aren’t conversions carried about by shops here in the US nor even are they conversions carried out in Pfaffenhausen at the RUF factory. 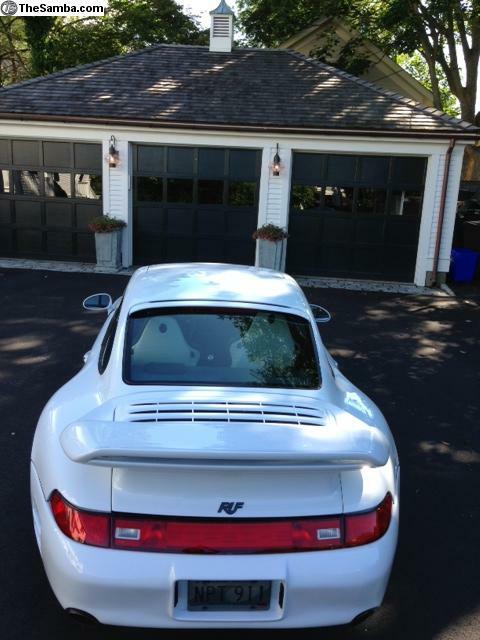 All three of these have a RUF VIN. They are all insanely rare and like all RUFs insanely fast and focused. Yesterday I featured a regular 993. It was very pretty. Today we’re going to take that design and turn everything up. The performance, the look,…, the price. But I have to say this one isn’t any less pretty than the other one. It’s a heck a lot more aggressive looking though. The 993 Turbo already does great things with the 993’s lines. 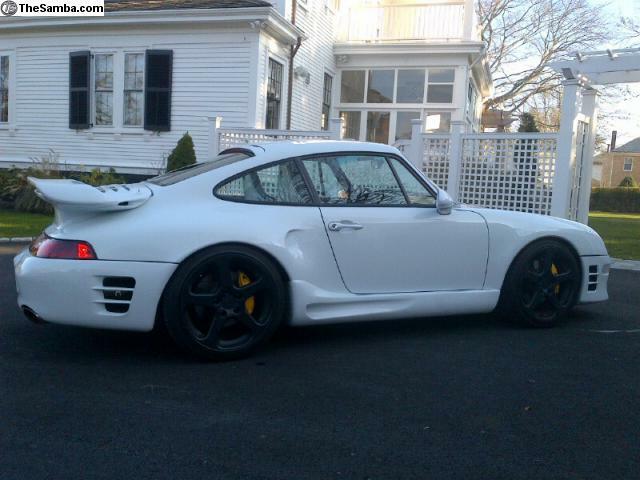 With a couple of small tweaks by RUF it looks even better. 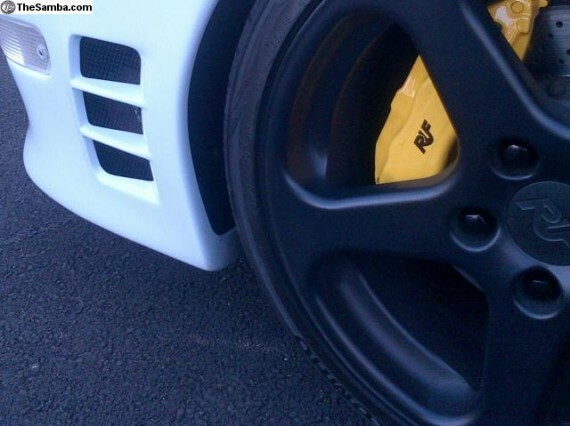 We all know RUF GmbH. In the tuner world they may be the most well known name around. 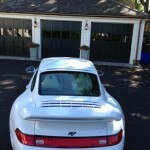 For Porsches they are certainly the most highly regarded. Unlike some Porsche tuners that followed more in the footsteps of Porsche’s racing designs, RUF stuck mostly with subtle modifications to its road cars. 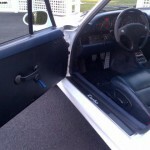 The uninitiated might not have even known the car had been modified. While few Porsches could ever qualify as sleepers, a RUF almost could, assuming that others mistook it for a “regular” Porsche. For the 993 RUF gave us the Turbo R: 490 twin-turbocharged horses directed to all four wheels through a 6-speed manual transmission. That’s 82 more hp than a standard 993TT and still 66 hp more than the Turbo S. Heck it’s even well up on power compared to the GT2 all while retaining a healthy does of civility. And here’s one such beast for sale! 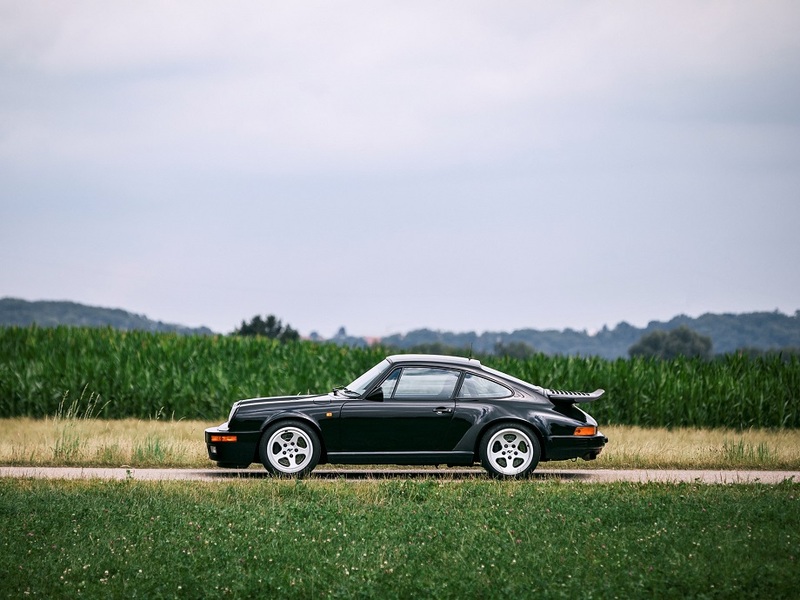 This 911 began life as an Arctic Silver 1997 Porsche 911 Turbo before undergoing a conversion to the RUF Turbo R. At 37,500 the mileage is quite low, the condition looks great, and it’s said to come with its paperwork. 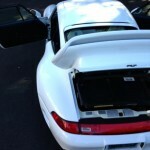 Last week, we reviewed a beautiful white 1998 993 Twin Turbo converted to Ruf Turbo R specifications. They say lightning never strikes twice, but Ruf has never been one to listen to convention or limitations. Surely the most elite of the German tuners, Ruf automobiles demand a premium over their already expensive Porsche cousins. 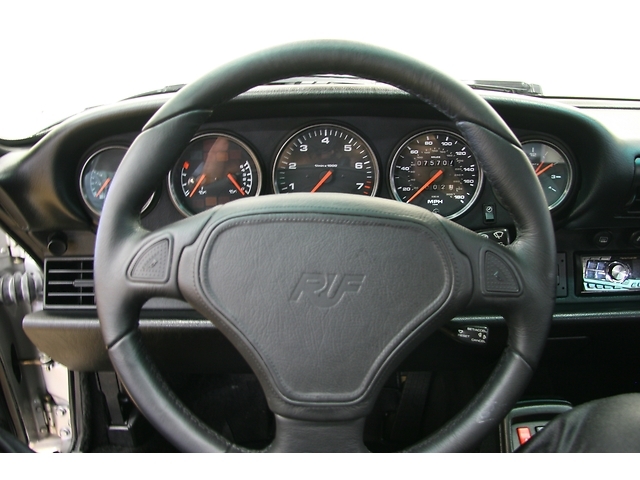 However, there is a difference in the market between a car with an original Ruf build certificate and one that has been converted by the owner. 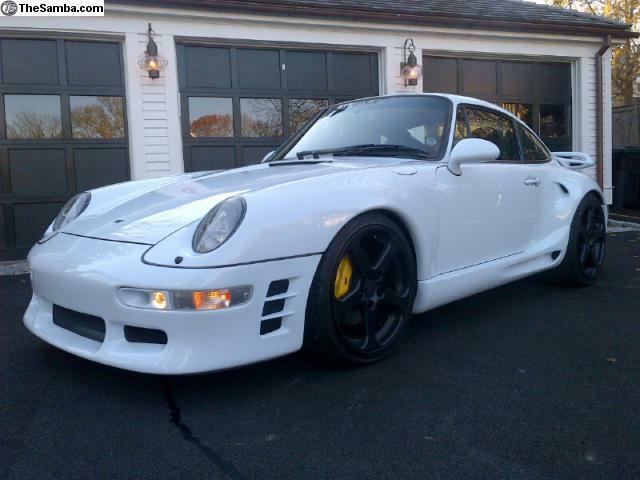 This example looks cracking in silver, and like the white car is not an original Ruf car but a converted example. 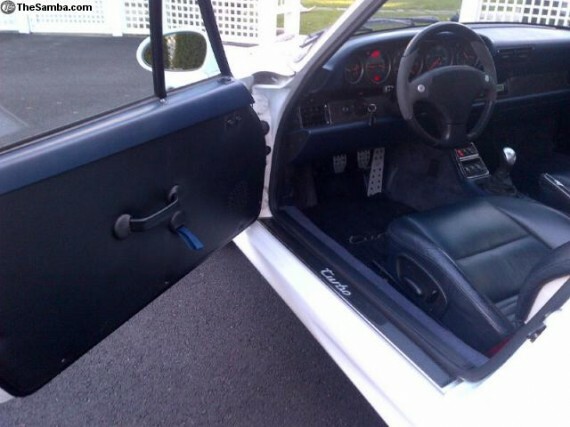 We specialize in pre-loved air-cooled Porsches. We ship world wide. We offer financing. We have a 100% feedback score for outstanding customer service. Serious inquiries call 2013100048. 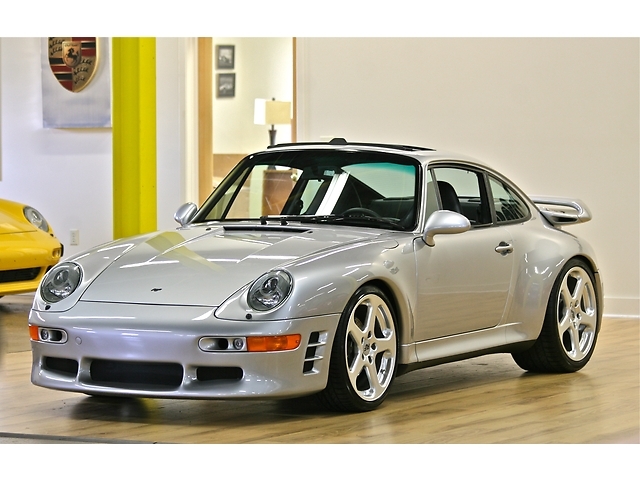 While a â€œnormalâ€ 993 Twin Turbo will set you back around $60,000 to $70,000, the white lighting we showed last week was asking $110,000 despite not being an original Ruf. Thatâ€™s a serious amount of â€œextraâ€ over the standard car â€“ so much so, that you could nearly buy two! 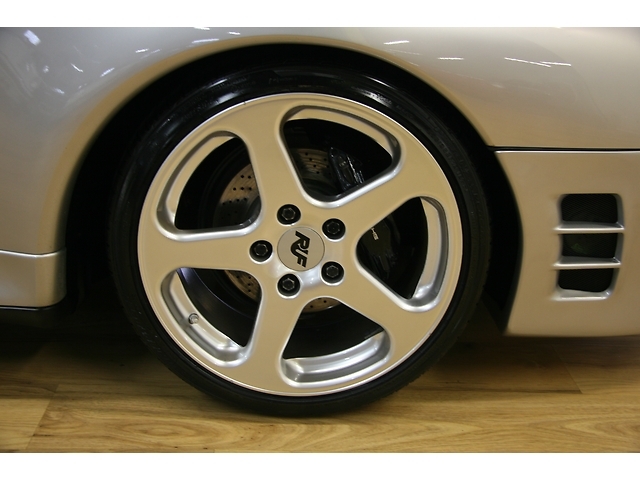 However, the most valuable aspect of the Ruf cars is, and has always been, the motors they have developed. 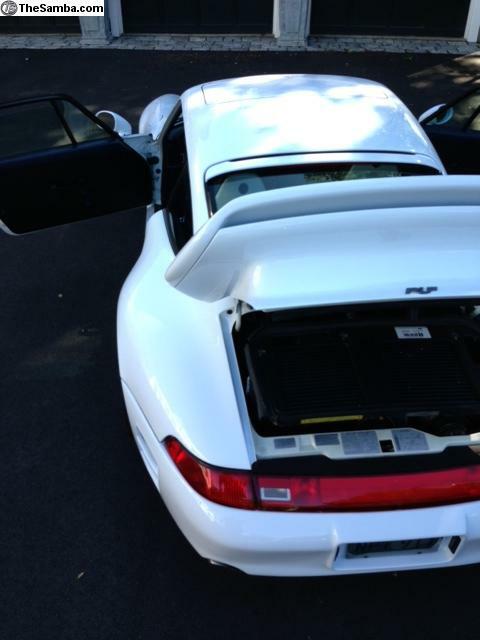 Unlike the white car, this silver example does not appear to have the valuable motor swap, but does sport the same suspension and body kit, along with a grab to the Porsche parts bag for the Turbo S rear wing. In comparison to the white car, then, this car is more of a replica without the motor. For $35,000 dollars less, I feel like I could live with a few less horsepower, especially without the benefit of the all wheel drive saving me when I dipped a little too far into the loud pedal. 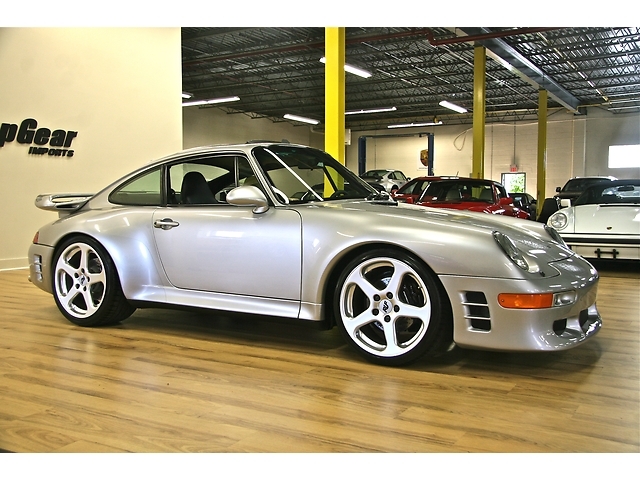 Additionally, I think the silver flies (literally) a little lower on the radar, and I can’t express enough how glad I am that those beautiful Ruf alloys arenâ€™t black. Sure, it has more miles on the clock, but it looks to be in just about perfect condition and without the more expensive motor, itâ€™ll set you back less at the next servicing. To me, this is a slightly better value than the white car, with a price closer to the high end of the standard 993 TT market but with some nice looking upgrades. Without either being actual Ruf cars, Iâ€™d drive the silver one comfortable in both the fact that I had a fantastic looking, exceptionally fast car and $35,000 in the bank to help pay the bills. 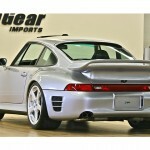 One of the premier names in Porsche tuning, Ruf Automobile GmbH is a German automobile manufacturer. that specializes in specialty builds based on Porsche chassis.Â Founded in the late 1930’s as a repair shop, it wasn’t until 1977 that Ruf debuted their first full production car based on a 930 Porsche.Â What really put Ruf on the map was the creation of the CTR in 1987 which set the record as the world’s fastest production car at the time. Since then, Ruf has become the most renound names in the automotive tuning market with such hits ar the CTR2, CTR3, and RGT-8 all of which produce number that put most supercars to shame. 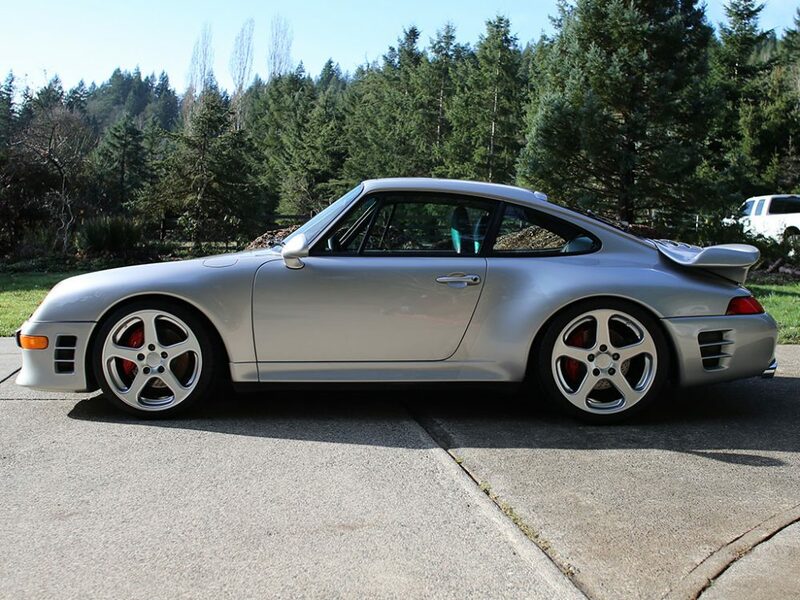 With such a stellar resume, it’s no wonder the seller of this stunning 993TT turned to Ruf to build his dream car. 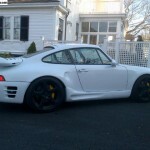 RUF Turbo R conversion done in April 2001, car at the time had roughly 21,000 miles. This was a new engine sent from Germany from RUF with RUF techs to do the conversion. This engine now has about 15K miles on it bringing total 35,500â€¦. Conversion Documented and on Record at RUF Germany; I have paperwork. 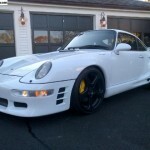 The car has Rain gutters shaved (this is a big job), prior owner also added Porsche TURBO S Ducts (the look amazing) and the Gemballa side skirts……. I had calipers (These are Porsche Big Red Turbo Brakes) removed tuned and professionally painted yellow and added RUF script, replaced brake lines, some faded trim pieces replaced on car, a malfunctioning rear view mirror control replaced, removed stock CD changer and factory amp etc.. (have stock parts and door panels etc) All this work and parts was over $15,000.00. This was a near open check book full top to bottom sorting of a very unique and rare Porsche RUF automobile. 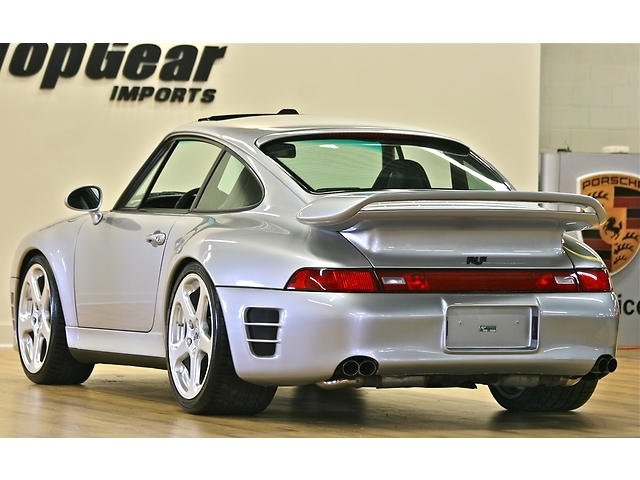 Very few RUF Turbo R conversions in existence in the states and even less as a 1998, white in color, with so many RUF parts, low miles (only 35.5K on car and not even 16K on RUF engine) + rear wheel drive! Many unique upgrades from S Turbo ducts, rain gutters removed etc…. *Carfax shows Minor accident in 2006 < I have original police report that says what happened and will provide… minor. Flat tire caused wheel to come off rim and brush along car next to it. The car had some paint scrapes on one side and dented rear fender, needed a new wheel etc… no dents filled, body shop replaced rear fender with OEM Porsche fender and painted… I talked to shop that did the work and they confirmed the same and again the police report that outlines what happened (which I have)….full disclosure seller here. open to answer any questions. .. … my mechanic thinks I should keep after all this work. Car could use some paint touch ups mainly around Gambella side skirts to be perfect, these were added over 10 years ago etc.. can send pics to interested buyers. Why selling? I am into this car for much more then I have ever imagined… I was planning to keep the car for ever so the work that was done got done right but simply exceeded budget. That said, I can pay my bills, and far from a car poor guy here, not forced to sell but choosing to sell… Just have family and son in private schools and I keep my toy budget to a certain $ cap… and this has gone past that point….. it happens! I wrote the above the way I like to see adds with as much data as possible. Any questions PM me directly… car can be seen in Newport RI… I am hoping to get better pics done soon… but for now hope these are OK..
WOW is an understatement with this car, not only is fast, but I could literally stare at it for hours….it’s that beautiful.Â These days, the 993 Turbo models, because of raw power,and status as the finalÂ air-cooled 911 Turbo cars are commanding a massive premium. Couple that with the extensive list of modifications, Ruf records and paperwork, and suddenly the $110,000 asking price starts to seem reasonable.Â While this car is out of most hobbyist leagues, it’s nice to know that cars like this are out there.Â I’d be happy with a poster of it on my bedroom wall, as that’s about as close as I’ll ever get.